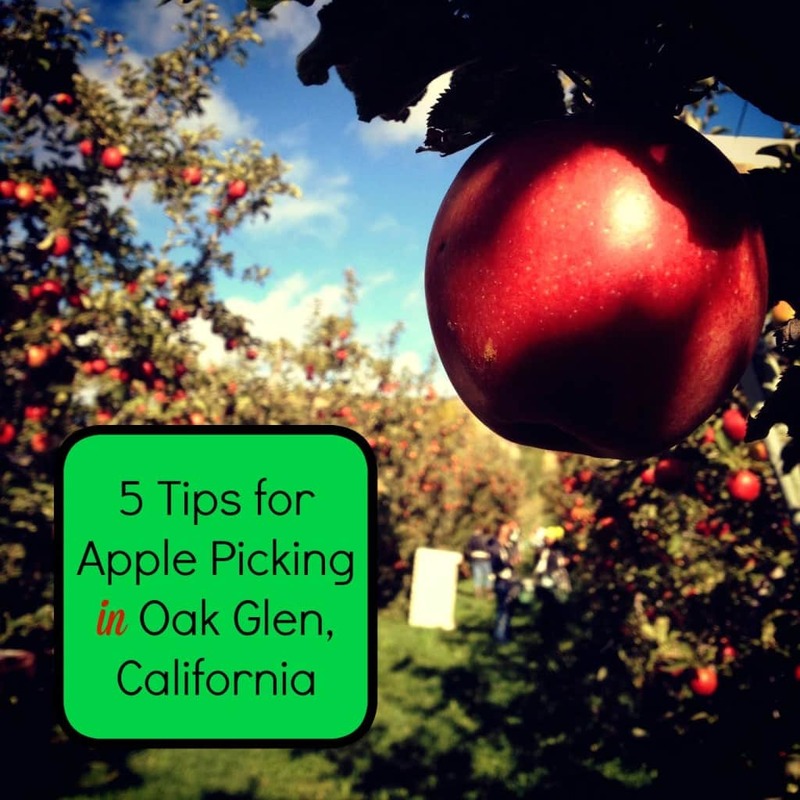 Oak Glen’s Apple Picking Season officially kicks off over Labor Day weekend and runs now through Thanksgiving weekend. The apple crop is good this year and the majority of farms officially start welcoming visitors in September. Oak Glen’s apple orchards produce a variety of apple selections including the Vasquez and King David varieties, which are grown only in Oak Glen, as well as antique varieties no longer commercially available such as Ben Davis, Gravenstein and Pink Pearl. Before 1940, Oak Glen mainly grew apples for export purposes. Then several farmers got together and began to sell apples, apple pies, apple cider and apple butter at roadside stands to locals passing by. Today growers earn the majority of their profit from visitors who pick apples directly off their trees in the orchards. My family and I have visited Oak Glen on more than one occasion. One of our favorite spots in town is Riley’s Farm. Nestled in the apple growing foothills of historic Oak Glen, Riley’s Farm is a working apple orchard and living history farm featuring pick-your-own fruit, living history education, dinner theater, group banquet facilities and extended and historically-themed overnight stays. They also offer year round educational field trips for schools and homeschool groups. Did you know that there are three additional apple farms in Oak Glen that are owned and operated by different members of the Riley family? Riley’s at Los Rios Rancho features apple-wood smoked BBQ dishes and a bakery with homemade pies, hand-held pies, turnovers and cookies. Picnic grounds, a petting zoo, nature trails are also on the property. During apple season, they are open 7 days/week from 9 am – 5 pm. Riley’s Apple Farm is currently celebrating 35 years of apple growing where families are entertained with old fashioned harvest fun! Their apple picking season runs Labor Day thru Thanksgiving Weekend. On the weekends they are open 10 am – 4 pm and weekdays by reservations only. Riley’s Apple Farm offers Home School Days in the fall. During a tour, students will enjoy a hands-on living history tour of the farm from 10 am – 2 pm. The cost is $17 per child ages 2 to 18 years old and $14 per adult. Advance reservations are required. Check in time is 9:00 am. Lunch packages are available as well for a small cost. Riley’s Stone Soup Farm & Heritage Orchard is a century old, family owned and operated vintage apple orchard. Every year they enjoy the return of visitors to their working farm on a country outing, looking for u-pick fruit and many fun family activities. They engage in preserving a heritage community through heirloom growing, educational programs and artisan culture. Operating hours on weekends are from 10 am – 4 pm and during the week by reservation only. Riley’s Stone Soup Farm & Heritage Orchard hosts a Homeschool Day in the fall where visitors discover what life was really like by working and living on a late 19th century farm. Enjoy the daily adventures of a homesteading family, learning from their skills and crafts in this interactive tour. The Homeschool Program includes pioneer cooking, apple tasting, candle dipping, wool carding & farm chores, cider pressing, historical toy making & games and a visit to the corn & pumpkin patch. The cost is $16.00 per person for ages 4+ and reservations are accepted online. The Swanson family invites you to visit Willowbrook Apple Farm and enjoy a day apple picking in the country at their small family farm. A mere hour’s drive from Los Angeles and Orange County transports you to babbling brooks, fresh air and a 100 year old apple orchard. 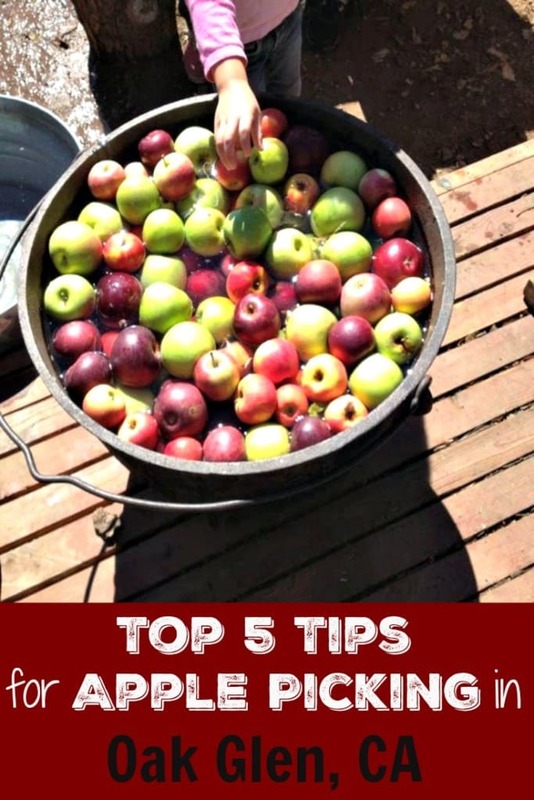 Law’s Apple Shed & Cider Mill has over 35 varieties of local home-grown apples and cider. The mill is home to Oak Glen’s smallest stand and finest quality apples. Wood Acres is Oak Glen’s best-kept secret. The farm is a quiet retreat tucked in a verdant canyon below the main drag and home to 28 varieties of apples. Snow-Line Orchard has an original packing shed, historic cider mill, ancient chestnut tree and beautiful picnic grounds. They carry a broad selection of products including fresh apples and cider, u-pick raspberries, cider mini donuts, artisan balsamics and oils, local honey, unique gifts, and farm made wine and hard cider. Snow Line Apple Orchard is also home to the oldest Chestnut tree west of the Mississippi. In 1866, Enoch Kidder Parrish arrived in Oak Glen and traded four mules and a wagon for 160 acres of land. By 1867 he had planted the first full-scale orchard in Oak Glen, just over an acre of mainly Rome Beauty trees. Apples from this historic orchard are on sale in the main barn each fall along with cider, apple butter, jams, jellies and syrups. Parrish Ranch is also home to a variety of wildlife and local farm animals. They have pygmy goats, alpacas, a miniature donkey named Miss Covergirl and her best friend, Cinderella the miniature horse. In addition to the livestock there are emu, a variety of chickens, turkeys, and peafowl. The best time to go apple picking is during the week when the farms are not as crowded. The weather up on the mountain is unpredictable at times. I recommend that you bring a hat, sunscreen and a jacket for all scenarios. Bring your own reusable bags for apple picking. There are a few public parks in the area where you can have a picnic. Purchase a few homemade apple pies to take home with you for Thanksgiving. They freeze well!